TeaDub Design: Welcome to my TeaDub Design blog! Welcome to my TeaDub Design blog! I'm very happy you've found your way to my little crafty world! After being inspired by so many crafters out there who share their wonderful lives and talent in blogland, I thought I'd throw my two cents into the pile. Oh, and also after being gently nudged by a few crafty friends over the years...you know who you are! So what's the explanation behind the name of my blog you might ask? Well, both my husband and I have the same initials, 'TW' and most everyone calls him "T-Dub" at his work. After brainstorming many ideas for a blog name, I decided to also adopt the same nickname for myself. 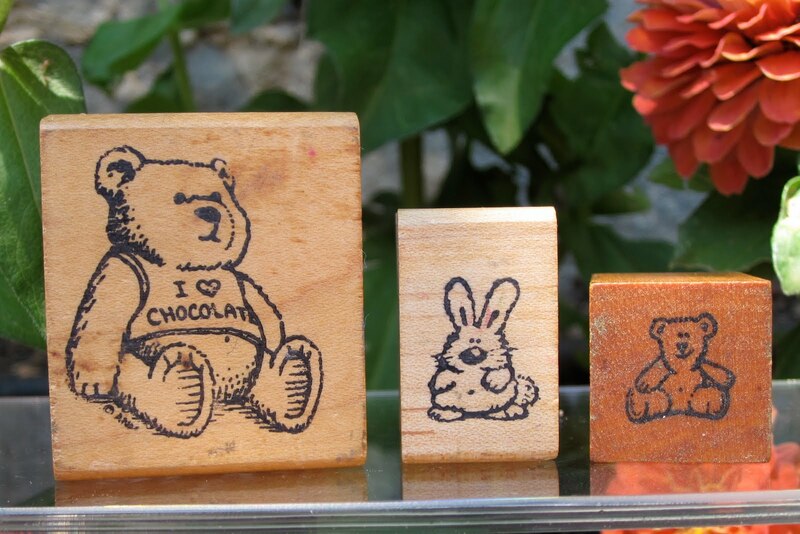 I want to first start off by sharing a picture of my very first set of rubber stamps I collected as a kid. 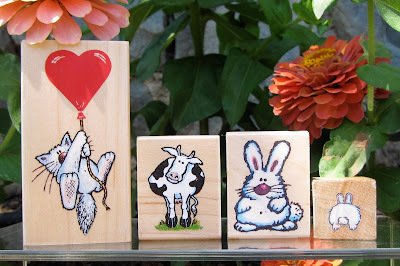 Aren't these the cutest images ever? These are my all-time prized possessions of wood-mounted All Night Media stamps! I bought them when I was probably about seven years old back in the early 80s (I know I just dated myself). 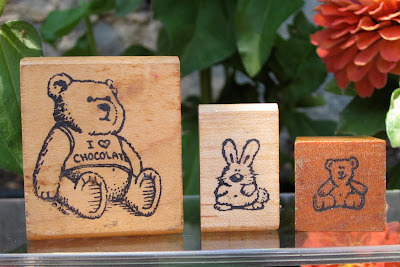 ANM was the "in" company that made rubber stamp images that I liked. I remember that I wanted so many more stamps I saw in the store but at the average price of $7 per stamp, that was really expensive for me as a kid! So, I selected my most favorite ones and have always kept them safe with me through the years. Here's another one of my early stamps made by Hero Arts. The label on the side says ©1985 Hero Arts Rubber Stamps. Yikes...have I had it that long?! These are some of the later All Night Media Stamps in color from my collection. I especially love the cat one hanging on for dear life to that heart balloon! The cute bunny with the belly button was like the mascot of the company. 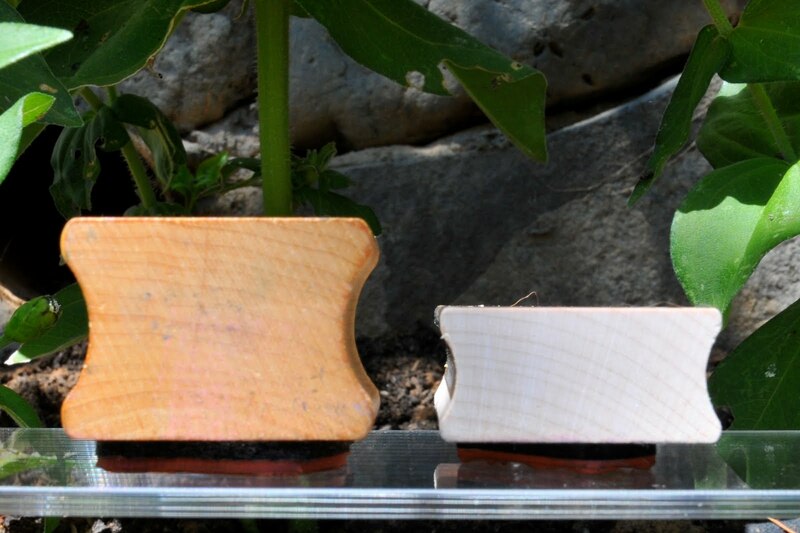 Check out the thickness between the wood handle profile of my earlier stamp compared to a newer wood handle. They sure don't make 'em like they used to anymore! 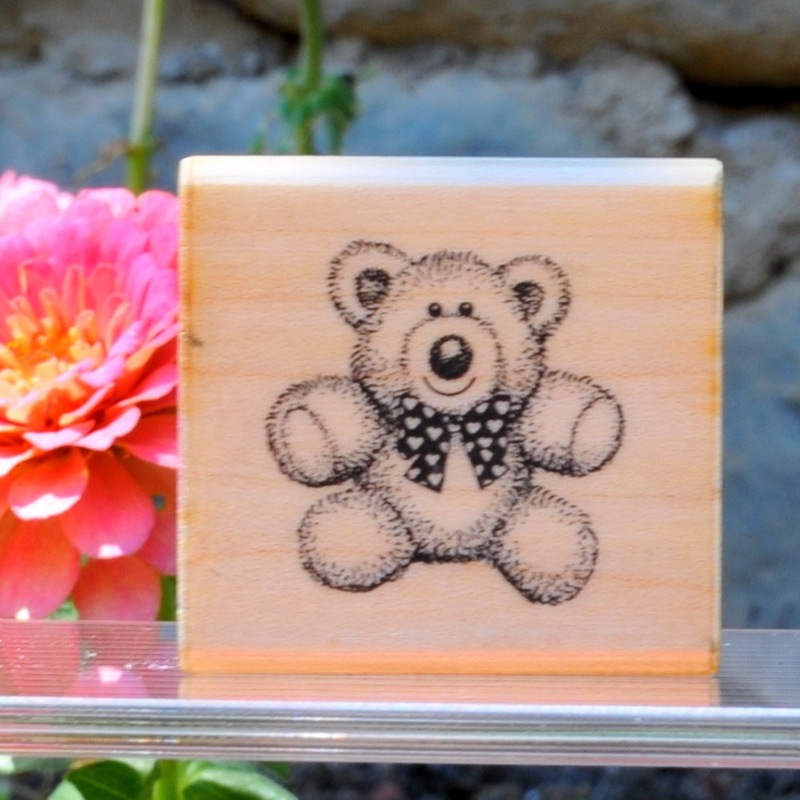 Back in the day, I didn't know much about coloring in images and I would usually stamp using one ink pad color. I look back now and think how funny that was! Hee hee! I've come a long way since my humble beginning as a paper crafting stamper and so has the crafting industry! There are so many fabulous products, tools, and wonderfully talented crafters out there! Thanks for visiting my little corner and I hope to inspire you with my stories and creations! Welcome to the blogging world. Looks great! Welcome to blogland, Tina! Your blog is great! Loved your first post and can't wait to read more. what a fun post ;) i remember some of those oldies!!! I've been wondering what TeaDub was. Now I know. Nice blog, T-Dub. Yippee!! Congrats on starting your blog :) Thank you so much for sharing your story. How cool that you still have those stamps after so many years! Welcome to the blogging world Tina!! I had to laugh, thinking back on my first creations also!! Your new blog is wonderful!!! Congratulations and good luck with your new crafty adventure!!! The layout is lovely - especially the stripes. I'm so excited to see your creations sistah! Couldn't leave a comment before, so I am back today. Great Job!